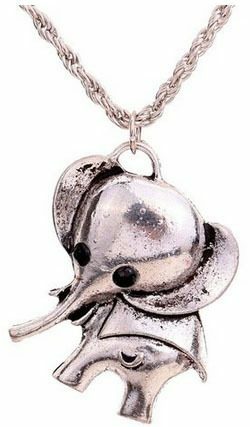 Adorable Elephant Necklace Only $3.87! You are here: Home / Great Deals / Amazon Deals / Adorable Elephant Necklace Only $3.87! Oh my goodness, this necklace is SO CUTE! Grab this adorable Elephant Necklace for just $3.87 (reg. $15.48) with FREE shipping! Out of all the elephant necklaces we’ve seen, I think this one is the cutest! And, I love that the pendant is smaller than the others.